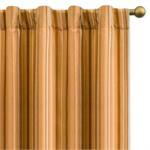 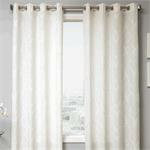 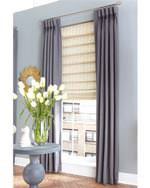 Blaise Curtains are available in 4 scintillating colors. 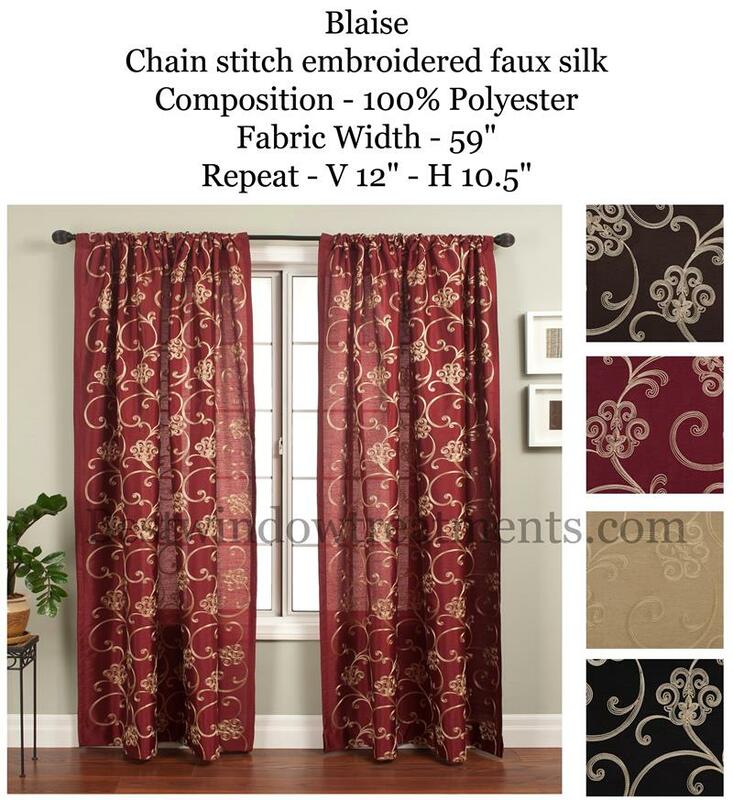 Featuring gorgeous chain-stitched golden scrolls, these elegant drapes will lend an air of sophistication to your window treatments. 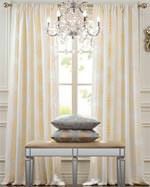 Blaise features a light weight faux silk fabric with little to no stiffness. 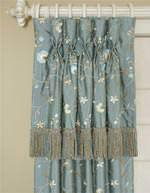 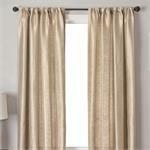 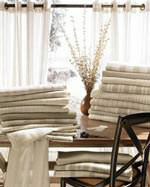 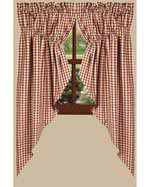 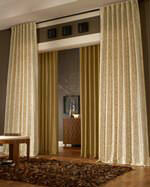 These curtains look & hang best with one of our lining options. 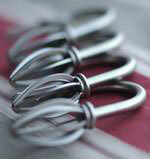 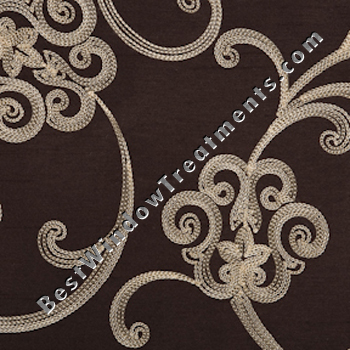 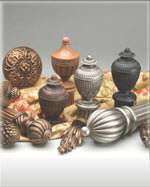 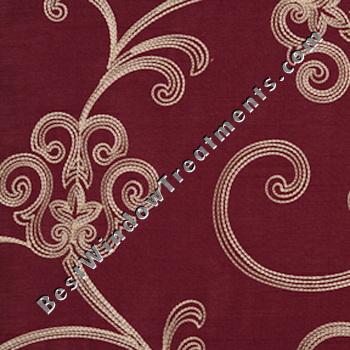 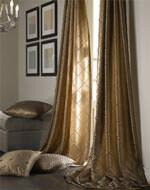 The material has the shimmery look of silk without the difficult maintenance and care. 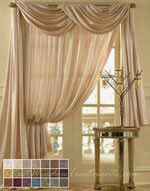 Blaise curtains will give your window treatments a royal look without breaking the bank. 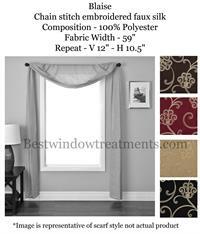 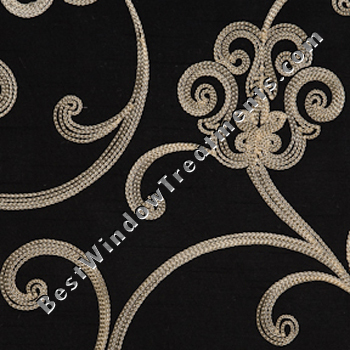 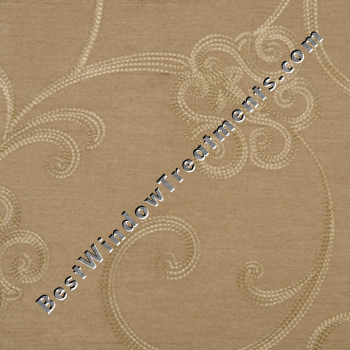 Love the embroidered stitching style - these drapes look like a high end custom fabric we found shopping locally. These curtains were a fraction of the price and we were able to do back-tabs with the lining/interlining to keep that high end look for our dining room.